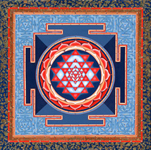 We welcome you to the Sitaram Yoga Centre website, where you can find information about the Centre, the instructors , the Yoga courses, and also contact with us. Since 2003, Sitaram Yoga Centre has provided a comfortable setting for the easy practice of Yoga. 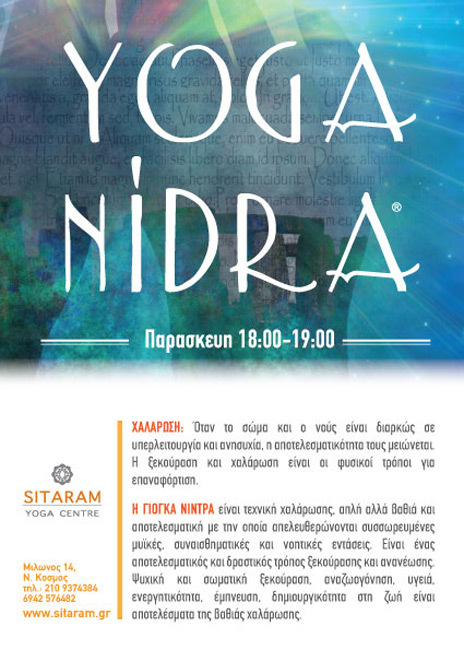 Located in the area of Aghios Sostis (Nea Smyrni/Neos Kosmos), it encompasses a relaxed, quiet environment, suitably modified for the teachings of Yoga. It offers small (4-9 persons) classes, entirely of traditional, classical Yoga, according to the tradition and system of Satyananda Yoga. The meaning of name "Sitaram"
The story becomes a legend and the legend becomes a folklore tradition, which lives and relives. In this way has the story of Sita and Rama found its way into the present, a story symbolizing the union of the human spirit with the highest consciousness. Together Sita and Rama , represent the material and the spirit, the positive and the negative and the eternal principles of all creation. 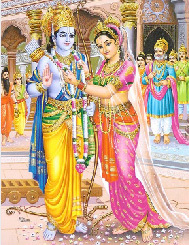 In their relationship, they "marry" or unite good luck, prosperity, euphoria (Sita) with wisdom, stability and balance, following the path of righteousness - Dharma (Rama) aiming to achieve happiness. 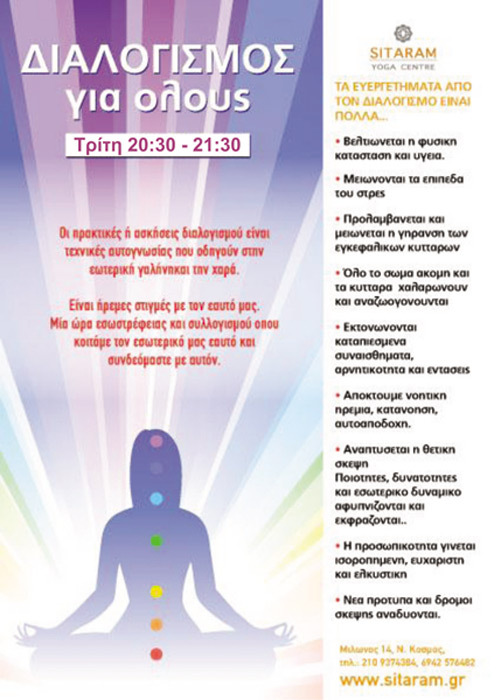 Welcome to Sitaram Yoga Centre.